How Does a Humidifier Work on Congestion? What Are the Causes of Bedtime Allergy Attacks? Allergies are a nuisance, and they can flare up at certain times of the year. In fact, allergies can be even worse inside your own home. Although conventional medical treatments are often the solution to treat symptoms, natural methods can help you relieve some symptoms at home sans medicine. One solution is to add moisture into the air with a humidifier. According to the Mayo Clinic, there are five primary types of humidifiers: evaporators, central humidifiers, impeller humidifiers, ultrasonic humidifiers and steam vaporizers. Steam vaporizers are among the most common, as they are affordable and sold at drugstores. Evaporators have fans that blow air through a wet filter. Central humidifiers are built into a home’s air conditioning unit in order to add humidity to every room of the house. Impeller humidifiers expel cool air through a disk, while ultrasonic humidifiers have the same effect through ultrasonic vibration. Humidifiers essentially mimic natural humid air by increasing moisture. This effect is inspired by humidity created before and after a rainstorm. Humidifiers are commonly used during the winter months when the air is particularly dry. While humidifiers are occasionally used to help cold symptoms, the website Allergy Relief 101 advocates their usage for the relief of some allergy symptoms. The added moisture in the air that humidifiers create can help relieve dry skin, stuffy nose and sinus congestion. According to Allergy Relief 101, humidifiers can also reduce asthma symptoms by clearing mucous out of the airways. The American Academy of Allergy, Asthma and Immunology (AAAAI) recommends humidifiers for the treatment of sinusitis, because the steamed air helps relieve nasal congestion. Use a humidity gauge in order to ensure proper humidity levels in your home. According to the Mayo Clinic, the ideal humidity in your home should measure at least 30 percent but no more than 50 percent. If the humidity level drops below 30 percent, you may experience problems like dry throat, eyes and skin. Asthmatics may become wheezy due to airway congestion. If the humidity rises above 50 percent, bacteria and mold can grow in your home. This can cause a slew of other health problems, especially if you are allergic to mold. Clean your humidifier often in order to prevent bacterial growth. 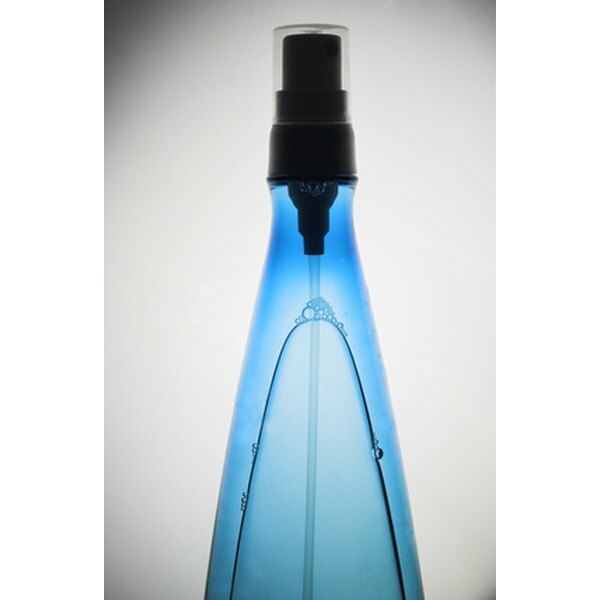 Allergy Relief 101 points out that some drugstore models of steam vaporizers may deposit minerals into the water during usage. This can aggravate your allergies even more. Steam vaporizers are usually freestanding and require electricity. The Mayo Clinic advises parents not to use vaporizers around children, as the hot steam can cause burns. If your allergy symptoms do not improve or if they worsen with a humidifier, stop using it and call your doctor. AAAAI: Allergy and Asthma Triggers: More Than a Cold? What Kind of Pillows Are Recommended by Allergists? Do Humidifiers Help Babies Sleep?